The Moon is waxing this week, every day getting a little bigger and brighter. It won’t be Full until October 8. That’s plenty of time, yes? Plenty of time to reset my attitude and understanding of this Libra* cycle’s big offering—Balance. I’m noticing a strong need for a change in attitude. I’ve had enough groveling and complaining about being out of balance and feeling inadequate because Balance’s bank balance is overdrawn. I’ve heard the same complaint from a lot of people. It is one of our cultural assumptions: Life in the 21st century is unbalanced. Perhaps we lament being out of balance too much. I am starting to get suspicious. Why does this message consistently show up? Where does it come from? Why do we feel so helpless about changing it? Are we failing to see what is really going on? After a while, we owe it to ourselves to come up with a better story. Nature is all about Balance. We see this every day when an action is followed by an equal and opposite reaction. Nature’s equilibrium is happening all the time. Inside our bodies as we adjust to what we just ate; outside our homes in the storms that release stored heat; we see it in the cycles of growth and decay; and in the overall equality of light and dark and its effect on our climate. We live in a balancing universe on an elegantly balancing Earth. As human animals, part of nature too, we are immersed in Balance. Breath is a reminder. Death is too. I have a friend who calls herself a priestess of Time. She teaches people to be in right relationship to Time by taking back responsibility for how we use our time. Claudia taught me that when I say I don’t have enough Time or that there isn’t Time for what I want to do, I am blaming Time for my choices. There is plenty of Time. It isn’t Time’s fault that I am not managing my time well. I suspect a similar thing is going on with our relationship to Balance. There is plenty of balance. In fact, we can’t get away from it. The hard reality to accept is that Balance is taking our choices and bringing them to their natural conclusions. That’s where panic starts to creep in for me. I don’t want my choices to incur natural conclusions. I might not survive how nature will want to balance them. Perhaps the Libra scales are about weighing our choices. Perhaps that is the opportunity to embrace in this lunar cycle. Sunday, September 28. Emergence. That’s what the transition between Scorpio and Sagittarius often feels like. The Moon emerges and so do we. All three fire signs, Aries, Leo and Sagittarius, are activated with this emergence. The fire signs are a major influence up to the Full Moon on October 8, so begin to notice fire in your life right now. Fire encourages action, encourages expansion in creativity, and can spark reactivity and anger. Fire brings life force. In preparation for emergence, let the day begin slowly, feeling into the last hours of the Scorpio Moon. Darker emotions are gently surfacing and we might avoid conflict if we honor them. With the Sun quincunx Neptune, pay attention to dreams or intuitive insights. There is a push and pull between a desire to be alone and a desire to connect with others. And a push and pull between certainty and fantasy. Edgewalking is preferred to any extreme positions. Monday, September 29. Although a grand trine (when all three signs of one element are involved in an aspect pattern) presents benefits originating from that element, we need to consciously engage with the energy to find them. If we consciously engage with the qualities of fire signs this week, we will find fire’s gifts. I call this feeding my fire. What adds spark, light, and transformation to yours? The Moon in Sagittarius, mutable fire sign, encourages the quest for meaning. Truth, self-awareness, and life force energy are some of the fire gifts we may uncover in the quest. Mars in Sagittarius, Jupiter in Leo, and Uranus in Aries are the planets of the fire trine. If you are thinking of making changes right now, you will find lots of support. Be true to yourself. Find the fire that brings life. Venus adds grace and sociability to the mix with its ingress into Libra, one of the signs that Venus rules. Venus stays in Libra until October 23. Fire can be gracious too. Spread warmth. Tuesday, September 30. No exact aspects today, while the Moon finishes up its time in Sagittarius, means that we could feel adrift, without mooring, not getting much done. Astrologers call this a void-of course. It isn’t a dire situation and may even feel like a relief after a lot of activity over the past few days. Relax. Play. Let the pervading influence of the grand fire trine of this week and next lead you into new illuminations, adventures, or activities that feed your life force energy. October 1—First Quarter Moon: Manifesting. What part does accountability play in manifesting your intentions this lunar cycle? Are you seeking more balance? If nature already provides us with ample balance, what is the real question when we consider our relationship to balance? I’m finding that my choices affect the kind of balance I want to have in my life. This kind of balance keeps me right-sized, not taking more than I need, and not forgetting that my choices impact the whole. The Capricorn Moon invites us to think about accountability. On first take, this seems like an incredible downer. Responsibility seems like an enormous weight. On further consideration, accepting responsibility leads to power and authority. Can you find that edge where accountability becomes liberation? If we want the kind of balance that affirms all life, we will need to know this edge intimately. Watch out for judgment. Self-responsibility can bleed over into judging others. The square between the Moon and Venus today might have us noticing that tendency. The grand fire trine can add fuel to conflict or it can help us elevate our intentions through optimism and daring. The Moon contacts Pluto this evening (CDT); honesty helps us break through mistrust. Thursday, October 2. Since 2012, Uranus in Aries began moving in and out of an exact square with Pluto in Capricorn for a total of seven times. The sixth square happens in December 2014 and the last one will be in March 2015. You can find many articles about this important transit online and in magazines. As an astrologer, I would say this is the defining transit of our time. Our time being the crossroads of choice, do we fundamentally change the way we structure our lives and cultures? Can we live with more accountability for our impact on the Earth and all beings? There is nothing special about today except that the Moon in Capricorn reminds us of this ongoing transit by making contact with Pluto yesterday and with Uranus right after midnight last night. The ongoing fire trine can motivate us to move ahead and release obstacles to change. This lunar cycle invites us to notice how our choices are being balanced by the forces of nature. This isn’t about despair, but the ever-renewing spark of illumination and action. Friday, October 3. The Moon moving into an air sign stimulates the planets in the grand fire trine of this week (Mars, Jupiter, and Uranus). Over the next two days mental function speeds up. We are full of new ideas and ways we want to use them creatively. The really interesting thing about this quality is that Mercury, the planet of mental function, is stationing (slowing down) to turn retrograde tomorrow. This brings to mind Trickster shenanigans, unexpected detours, and plain old miscommunication around these insights. Oh, Mercury, how we adore you. 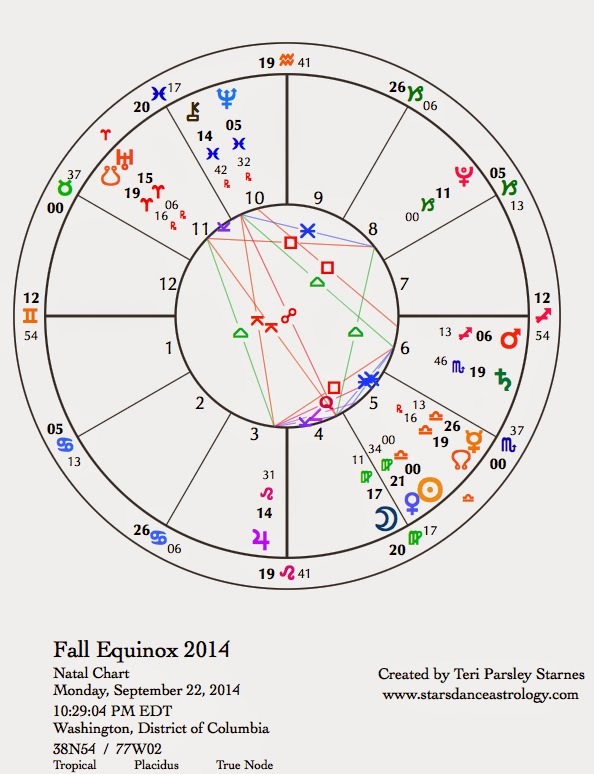 In addition, today, Venus in Libra is quincunx (paradox) to Neptune in Pisces. Libra is the balancing air sign that asks us to clarify our thoughts and actions, make them meaningful, and especially make them gracious. Neptune cares a great deal about feelings but doesn’t revel in the concept of clarity. So feelings are arising that are just plain too hard to put into words, but we want to. Mercury retrograde periods are great times to do magic, or at least to think magically. How will you shift realities to give voice to new ideas and possibilities? It may take a while to manifest (we will have to wait for Mercury to clear the retrograde zone on November 10) but don’t let that stop you. October 4—Gibbous Moon: Perfecting. There are so many astrological influences on this day that I don’t know where to begin. This is when I turn to the Moon. Under the Gibbous phase we sense the build-up to the release of the Full Moon in just four days. Anticipation, possible anxiety, pressure to do a good job, the titillating taste of heart’s desire—all this is bundled into the Gibbous phase. It is all part of the journey of mindful intention. The build-up of this phase feels more intense this time for several reasons. The coming Full Moon will be a lunar eclipse in Aries less than a degree away from Uranus in Aries (more about the Full Moon chart in next week’s forecast). Eclipses are unpredictable and move us along the path of destiny more quickly. 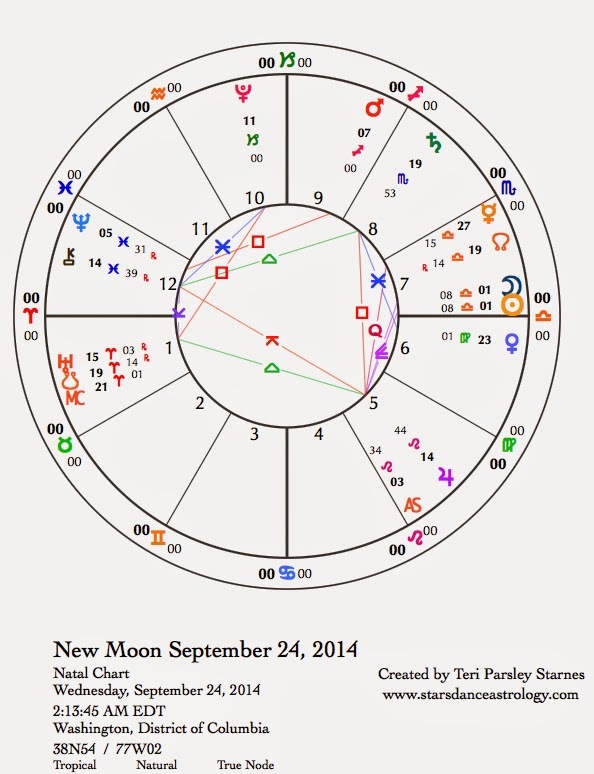 Today the Sun contacts Pluto (one of the instigators of transformation in our time) by a challenging square. This is where our intentions around balance meet the gritty realities of survival. We need to look beyond the pretty surface to acknowledge all the parts playing a role in our choices. The looking releases the spell of fear so we can be free to choose consciously. Mars plays a role. Mars in Sagittarius is the hero on a quest. The warrior/hero archetype needs to be composted (as astrologer Caroline Casey teaches) so we may use this bold and daring energy to change the world for the better. Mars contacts Chiron today, which reminds us of the wounds we carry around our own hero selves. The trine between Mars and Uranus urges us forward with great speed. So, we’re on our horses, ready to gallop away, when suddenly Mercury arrives on the scene turning retrograde and confusing the momentum we thought we had. There is purpose in the backward, second-guessing tone that Mercury brings. We need to tease out the lessons that are in store for us the next few weeks. Mercury moves backwards till October 25 and finally clears out of the retrograde zone on November 10. Don’t be discouraged; be creative.